Grete Waitz died a week ago last Tuesday, April 19th, the day after the Boston Marathon. 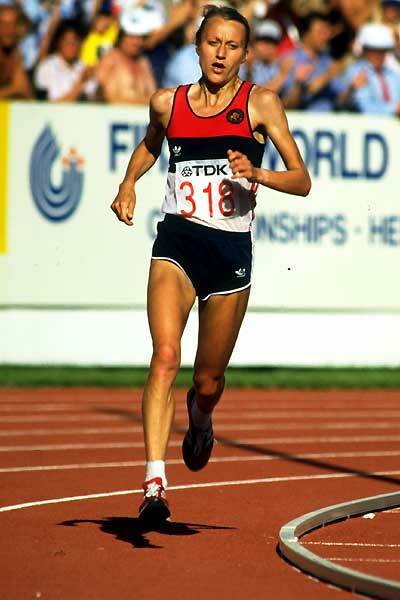 As a distance runner in the late 1970s and early 1980s, I admired her immensely but knew little about her. I mistakenly assumed she was German. I’ve been trying to get back into running, and have even gotten my wife – a long-time cyclist – interested. 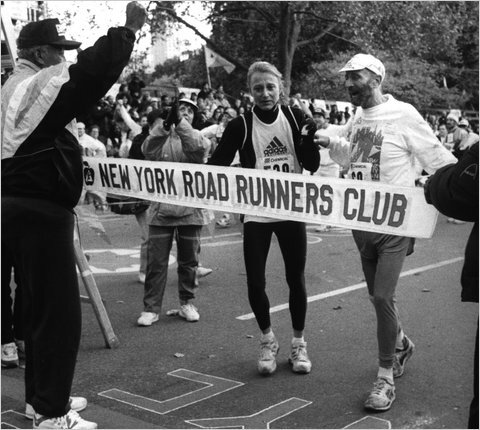 Recently we watched a film called “Run For Your Life,” about the founder of the New York Marathon, Fred Lebow. In 1978 he got Waitz to run her first marathon. She won and broke the world record by two minutes. She won the race nine times and broke the world record three consecutive years. In 1992, she ran her last marathon, running with Fred Lebow in his first and only run of the legendary marathon he created, three years after he got brain cancer. The bond between them had grown very dense over the years because of the synergy they shared through running. She helped make the NYC Marathon the massive success it’s become, and he helped her realize her superiority at the event, which essentially made her career. The video footage of Waitz running with Lebow in 1992 shows – for me – the most profound expression of love I’ve ever seen. You must watch to understand what I mean. Accustomed to running the distance in under 2:30, Waitz protected the frail Lebow for five-and-a-half hours that day. You can see her during the run acting as the supreme guardian for a cherished friend, scanning the road with every step to make sure he would be safe and make it to the end. When they crossed the finish line, the expression on her face before they embraced shows a care so rare and moving that it’s hardly comprehensible. Their embrace afterward – you must watch this closely – is only more intense. To me, it represents the kind of compassion and humanity that needs to be put at the top of the endangered emotions list. It’s really an example of the almost unattainable ideal of true friendship. Lebow died two years later, outliving by a large margin his oncologists’ predictions. When I saw the news that she died my heart sunk. I hadn’t known of her battle with cancer for the past six years. She was only 57. There’s something very tough about having one’s perception of a childhood athletic idol transform into the superlative expression of love and compassion and then, suddenly, to discover she died too young. It is hard on the world to lose people like that.